Chris lived in Ireland for two years and helped get the Memphis Irish Society started. He'll be teaching the Irish course starting next month. He's a UT student and lifelong ginger factory. He was born color-coded for his future Alma mater. John (or Seán Óg) moved to East Tennessee in March 2018 from Newry (An tIúr), County Armagh in the northeast of Ireland. John is married to Ashlyn whom he met while studying for his Certificate in American Business Practice at Warren Wilson College, Asheville, North Carolina, in the academic year 2013-2014. John holds both a Master of Arts degree in Legislative Studies and Practice and a Bachelor of Arts degree in Modern History and Politics from Queen’s University Belfast. John brings KIS substantial experience in promoting the Irish language and Gaelic cultural activities from his time in Ireland as well as at Warren Wilson College. John is also a proud Gaeilgeoir (Irish language speaker)! Katie is active in the community, volunteering as a troop leader and treasurer with the Girl Scouts of America, Council of the Southern Appalachians, and serving on the Board of Directors of Young Professionals of Knoxville (YPK) as Membership Committee Co-Chair. Katie lives in Knoxville with her husband, Lanny, two daughters, Zoe and Charlotte, and German Shephard, Claire. Katie loves to travel; while at UTK she spent one semester studying abroad at Prifysgol Abertawe (Swansea University), Wales, United Kingdom. During this time Katie enjoyed many day and weekend travel excursions to London, Bath, Cardiff, Edinburgh, Isle of Skye, the North Sea, Dublin, Doolin, Waterford, and many more. Katie’s favorite places in Ireland have to be Doolin and the Cliffs of Moor and of course, St.
James Gate, Guinness Brewery (“the magic of the widget!”). Jared hails from Washington state where he grew up in an agricultural area before moving to "the big city" of Seattle to work in various junior executive positions. He moved to Knoxville in the Spring of 2016 to be with his fiance who is attending/teaching at UT. 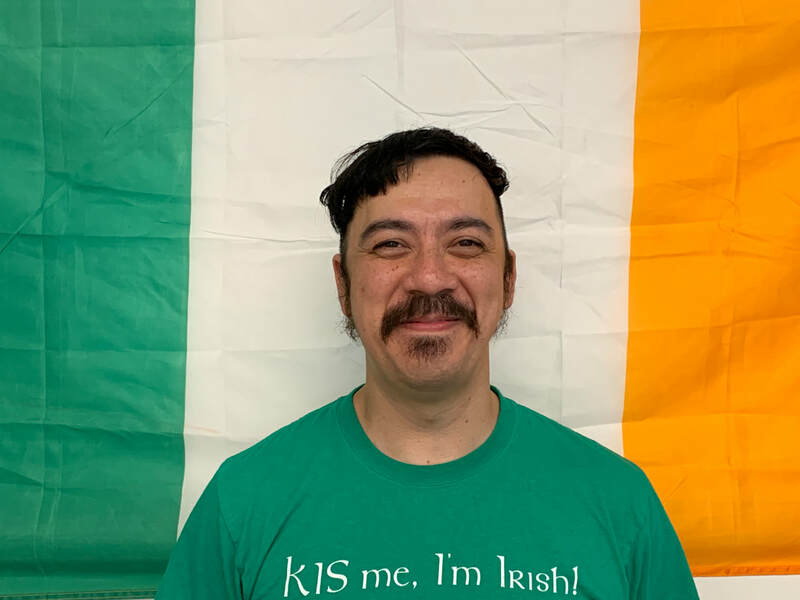 In addition to volunteering in the Knoxville Irish Society, he holds a job as a fabricator at a stained glass art studio and his free time is spent in various handicrafts and studying history. He comes from a multi-ethnic background, Asian on his mothers side and Irish Traveler on his fathers side. We currently have three board positions needing to be filled. 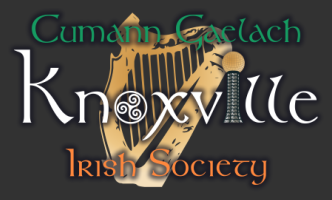 If you would like to help us build Irish community in Knoxville, please email the president, Chris King, at chris@knoxvilleirish.com, to talk about opportunities. Each board member, regardless of title, still attends board meetings, votes on measures, and is able to submit measures for consideration. Anyone may accept tasks outside of their traditional titular purview to distribute the workload among the leadership. Currently, KIS is entirely volunteer-run. Below is a list and short description of each role. This officer position is mostly bookkeeping and, possibly, accounting. The ideal person will have a background in accounting or previous experience as a treasurer or bookkeeper, or related experience. This position requires a unique and special skill set. We won't be needing this person to become fully active until we have been granted 501 (c) 3 status, which we're aiming for this year. As you can imagine, this role will be raising the funds needed to expand our offerings and impact in the community. The right person will have a background in fundraising, finance, or the business / nonprofit world more generally. This position is mostly that of webmaster, but it includes a seat on the board of directors. S/he can submit and vote on board motions and have a say on all matters like any other board member. The tech chair also manages all of KIS' online accounts, internet presence, and functions. This is mostly making sure the website, social media accounts, and communications/cloud tools work smoothly. The ideal candidate will have an IT, web design, development, or other computer background.